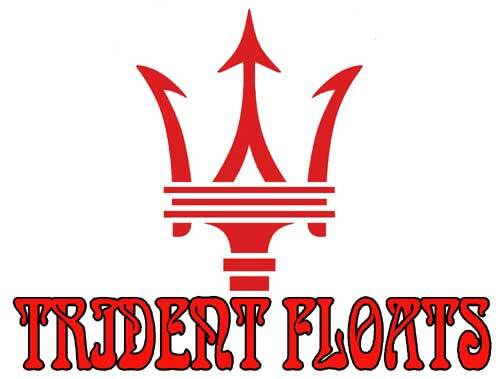 These "TRIDENT FLOATS" are a BLAST! Designed for Profile type planes, but can be used on any type plane. The built in outriggers eliminate the need for tip floats. No more misaligned floats. A few bolts and the floats are on, ready for some float flying fun! "Something Extra" on a Trident float, the float and all mounting hardware weigh only 11.5oz! 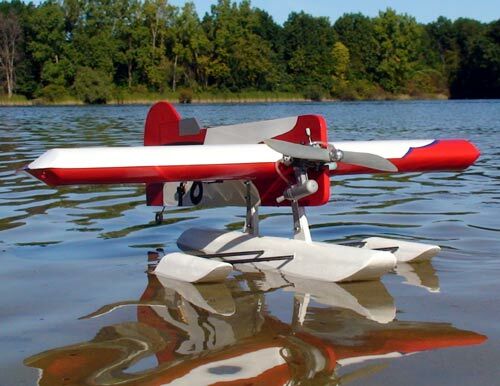 Subtract your landing gear to see how much these floats will add to yourplane. Aluminum angle brackets bolt into your exsisting gear holes. 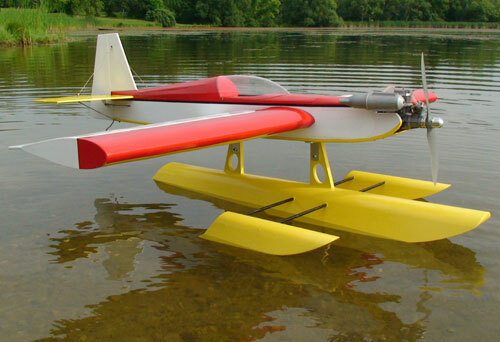 Comes with the Trident float, two outrigger floats, 3 Carbon Tubes and a foam filler for the cutout. Make the standoffs out of a balsa core sandwiched with 1/8" plywood. 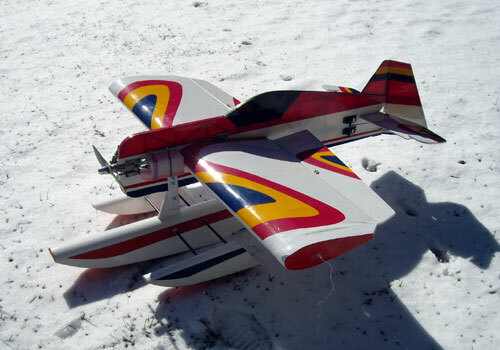 The Trident Float should be the same length as your Fuselage. 2. Pick the Profile you want to order.